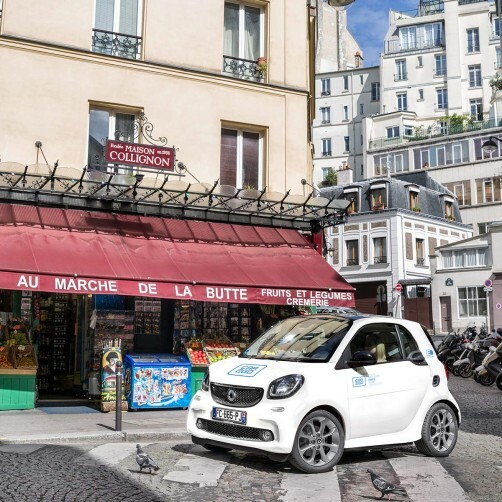 What's so great about car2go packages? No need to count your minutes! When you book a car2go package, you can enjoy all the time you need for a fixed price. Our packages range from 2 to 24 hours. Perfect for tackling that super long to-do list or for a run to your favorite Scandinavian furniture outlet. With time on your side, you can make bigger plans in life. From shopping sprees to a day trip out of town, decide ahead of time where you want to go with car2go packages. Stopovers are possible so you can do more with your time. Packages are the best way to save on the minute rate and to know exactly what you're paying for. Plus: If you already have car2go credit on your default payment profile, it will be automatically used to pay for your car2go package. Each package has a fixed number of kilometers and lets you drive more, pay less. How to add a car2go package to my trip? You can book a car2go packages directly in the app anytime during the reservation time period, before you start your trip. When you tap on a car2go, you have the option to use the minute rate or select a car2go package from a list. There are different packages available in each car2go city. Just select the most suitable package for your needs and add it to your trip. You will be able to confirm your chosen package before you start your trip. Have a good trip! Sure! Packages can be selected at any time during the 15-minute reservation period. Packages can't be purchased or modifed after you've started the trip and entered the vehicle. What if I don't use up all the time in my package? Packages are non-refundable and leftover time cannot be applied to future trips. So make full use of it while you can! What if I go over the time included in the package? No problem if your trip lasts longer than planned. After you use up the time in your car2go package, the median minute rate for each additional minute of your trip applies. What if I go over the kilometers included in the package? 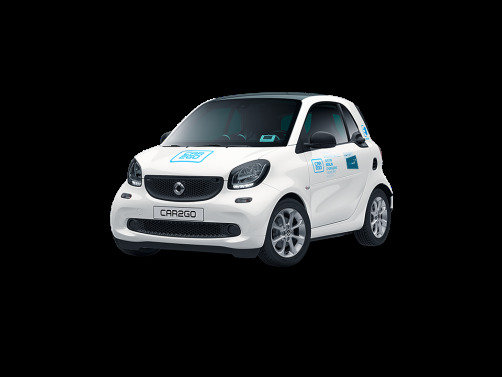 No problem if you drive more kilometers than are included in the car2go package. After you use up the kilometers in your package, the long distance rate for each additional kilometer applies. How do I make a stopover during a package? The car2go is yours during the entire package time. This means you can make a stopover any time, keep the car, and continue driving later – without worrying about the minutes adding up. Park and lock the car. Take the car key with you. Don't end your trip in the app, because this will end your car2go package too! When you're done, just unlock the car and start the engine again. Note: During the stopover, your trip time will continue to count as part of the car2go package. Questions about our minute rates?